PVC Banner | Top Advertising Pte. Ltd. There are various sizes for PVC Banners. 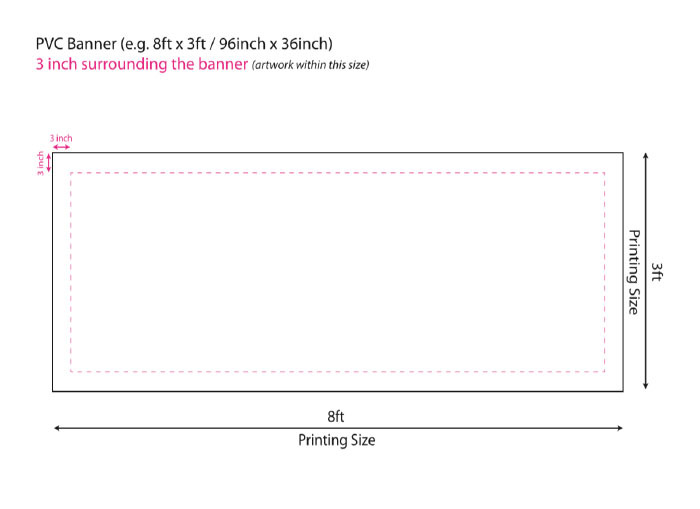 Following is an 8 x 3 feet banner sizing template. Please click on image to download the template pdf (125kb).